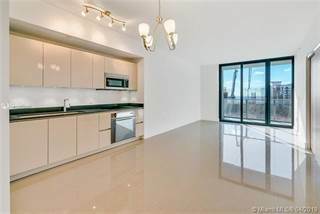 Searching homes for sale in Miami, FL has never been more convenient. 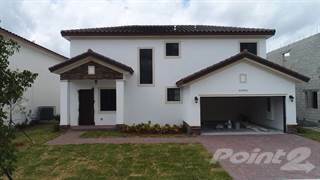 With Point2 Homes, you can easily browse through Miami, FL single family homes for sale, townhouses, condos and commercial properties, and quickly get a general perspective on the real estate prices. You can also filter listings based on price drops in the past six months, so you’ll never miss a bargain. Get instant access to a lot of relevant information about Miami, FL real estate, including property descriptions, photos, maps and Miami demographics. You can also use the map view to find homes and apartments for sale based on amenities in Miami, FL that you may want close by. There’s information on the Miami, FL real estate market at the bottom of search results pages, if you’re looking for an overview of the area. If you’d like to work with a professional, contacting real estate agents in Miami, FL is very easy. All you have to do is check the details for your favorite real estate listing, and use the form there. Or, if you’d like more options, click on the Tools tab and Find an Agent. 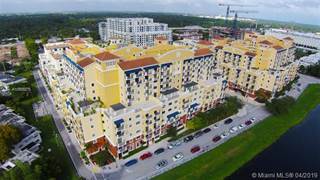 There are 4,915 homes and apartments for sale in Miami, FL. Easily arrange and sort through all of them based on price, property type, square footage, lot size or building age. You can also use any specific keywords you may want to narrow down your search to only the most relevant properties. Stay up to date with real estate opportunities in Miami, FL, by simply saving your search; you’ll receive daily or weekly emails (your choice) from Point2 Homes, with new listings which fit your criteria, while they’re fresh on the market. Miami is the second largest city in Florida, after Jacksonville, though the Greater Miami Area is the state’s most populous metropolitan area. The population of Miami City was 463,347 in 2017 and it covers an area of about 56 square miles. The Miami metropolitan region has a population of about 6.1 million and is the seventh-largest metro area in the U.S. The city is situated in the southeastern part of the state, at the mouth of the Miami River, on a plain between the Biscayne Bay to the east and the Everglades to the west. Miami is known for beaches, tropical weather and nightlife, and the area provides an enticing real-estate market for many prospective buyers. Recent studies show that Miami is expanding faster than almost any other city in America. Miami has long been identified as the Gateway to Latin America and it is famous for its large Cuban-American population, for example. With a burgeoning urban core and a hot retail market, Miami is increasingly being seen worldwide as a global city. With its beaches and nightclubs, Miami is a party town, and there are also a lot of festivals which can be enjoyed here. Some parts of the city—Miami South Beach, for example—are places where celebrities hang out and ‘the beautiful people’ come to relax. The food here is naturally a reflection of the city’s diverse cultures, influenced by Caribbean, Latin American and Asian cooking. The fusion food known as Floribbean cuisine is widely available here and should not be missed. Enjoying Miami’s famous white-sand beaches and nightclubs, tourists could spend their time simply swimming, sunbathing and dancing. But as it’s a meeting point for cultures, with everyone from Cuban exiles and college party animals to European surfers and Orthodox Jews, people-watching in Miami can also be an activity in itself! Miami has some fascinating museums, like the Museum of Science, the Children's Museum and the spectacular gardens of the Vizcaya Museum. Virginia Key, an island attached to the mainland by a causeway, is the location of the Miami Seaquarium, and the famous Adrienne Arsht Center for the Performing Arts is located in the Midtown region. Miami provides access to the Everglades, a 1.5 million acre National Park which is a haven to crocodiles, panthers and manatees. Miami has many neighborhoods, at least 25 within the city limits, but it can also be divided into four main sections: Downtown, South, North and West. Miami’s Downtown includes the area known as Brickell, which is the city’s financial center, and also among the best in which to live. As you might expect, its architecture is exemplified by business towers and luxury condos—overall, Miami has the country’s third-tallest skyline. There are also plenty of restaurants, bars, parks, art galleries and fashionable boutiques to be enjoyed in this part of town. The area to the south of the center has some of Miami’s oldest and most interesting neighborhoods. Along the Biscayne Bay shoreline, Coconut Grove is attractive and locals are proud that it has more greenery than almost anywhere in town. Coral Way is another large neighborhood here, based around the street of that name, and it has architecture in styles such as Mission Revival and Art Deco. The north side of Miami has its own distinct regions. For example, Midtown is a part of this area and often hosts a varied mix of West Indians and people of European and Latin American extraction. Some neighborhoods, such as those on the Upper East Side, tend to be for wealthy residents. The Design District is an interesting neighborhood in which many old warehouses have been converted into art galleries, restaurants and fashion shops. The area west of the city center used to be known for its Jewish population, but nowadays it is often the place where immigrants into the city first make their homes. The neighborhoods here include Flagami and West Flagler. The district known as Little Havana is well-known for its vibrant street life, its restaurants, and also for the annual Calle Ocho street festival, which is one of the largest in the world and presents a colorful display of Caribbean and Latin American cultures. Miami’s downtown area hosts a lot of renters, while budget-conscious home buyers might consider the neighborhoods in the west of the city or perhaps somewhere further out in the metro area. Investors are often advised to have a good look at areas which have been targeted for redevelopment such as the Design District. In 2018, the housing affordability crisis in Miami-Dade was getting worse, and more than 30 percent of the county’s residents’ gross income was going on rent, making them the country’s third-most rent-burdened in terms of rent-to-income ratio. With the recent completion of about 4,800 units in Downtown, the area continues to be a magnet for renters. For buyers, the three hottest areas have been said to be Coral Gables, Miami Beach, and Coconut Grove. Miami Beach, with its famous hot spots, regularly gets named the most overvalued neighborhood in town, and it currently has a median price per square foot price of about $520. Midtown, generally, has been recommended to investors and homeowners looking to make a good return on investment in a few years’ time. Miami-Dade County Public Schools governs all the public schools in the city, and is the fourth-largest school district in the country. It also runs the nation’s largest minority public school system, for the students who are of Hispanic and other ethnic origins. There are also several Roman Catholic and Jewish schools. The Maritime and Science Technology (MAST) Academy on Virginia Key is a public magnet school with a highly selective intake. Florida International University is a public research university with more than 50,000 students, and it is the state's second-largest public university. The University of Miami, out in the wider metropolitan area, is a private university noted for its business school. Miami-Dade College has around 165,000 students and 6,500 academic staff. Its main branch is in downtown Miami, but it also has seven other campuses in the county. The Miami-Dade Public Library System operates 50 branches. According to the United States Federal Reserve, unemployment in Miami-Dade County was down to 3.60% at the end of 2018—a big drop from the previous year and below the national average. At that time, the number of nonfarm-employed people across the Miami area exceeded 2.8 million, a 2.1% increase over the previous year. The 2007 financial crash hit Miami hard, but towards the end of 2018, studies based on official data calculated that Miami was the second-fastest-growing city in America. It also had one of the nation’s highest rates of business growth. As Florida is the world’s top travel destination, Miami sees some of that revenue. There are six Fortune 500 companies in the Miami metropolitan area. The city’s GDP is about the 12th largest in the nation and the economy can be said to be flourishing.